Sunday 6 January marked the end of an era: the Rellerli cable car went on its last journey and the Berghaus closed. New plans now lie ahead to make the mountain a good place for tourists to visit – with or without a cable car. The story began in 2015, when several residents of the municipality of Saanen were approached for help to protect the company Bergbahnen Destination Gstaad AG (BDG) from financial collapse. “Various people who were approached, including Ernesto Bertarelli, offered considerable financial support to secure the future of the BDG. This was designed to preserve the important mountain railway network infrastructure and to pave the way for the region’s tourist attractions in the future.” This was the commitment agreed to by the municipality of Saanen, the BDG and independent consultants as part of an extended restructuring plan. The plan was approved by the voting public in 2015. However, some people regretted the closure of the mountain railway on the Rellerli and founded the association Friends of the Rellerli to work on finding alternative solutions. The GST, the BDG, the municipality and Mountain View have been in talks for months, according to GST director Sébastien Epiney and mayor Toni von Grünigen. For the last few weeks, the Friends of the Rellerli have also been involved. Meanwhile, all parties have been working together and initial talks with landowners are scheduled. “We now need to discuss the first steps towards developing the Rellerli as a mountain for everyone in all seasons by taking an innovative and modern approach,” the statement said. The aim now is to concentrate on a diverse range of sports that both residents and visitors to Gstaad now expect. Mayor von Grünigen confirms that the municipality supports Ernesto Bertarelli’s efforts to develop a forward-looking solution for the Rellerli in partnership with the GST and the Friends of the Rellerli. The municipality will actively participate in talks. “Together, we can find a sustainable solution for using this beautiful mountain,” according to von Grünigen. The upcoming talks with the landowners will be led by the municipality and any necessary planning measures will be implemented for this new use. “We’re now on the right path. In the future, the Rellerli will host a good range of excursion opportunities and continue to make a valuable contribution to the tourist activities of this destination,” says von Grünigen. A new cable car to the Hugeligrat? There won’t be a ski facility on the Rellerli in the usual sense, says association president Heinz Welten. “We have enough mountains for people to ski on.” If there’s enough natural snow, winter sports can still take place: for example, snowshoeing, ski touring, free-riding and possibly also sledging. It’s still too early to talk about the construction and operating costs, according to Welten. 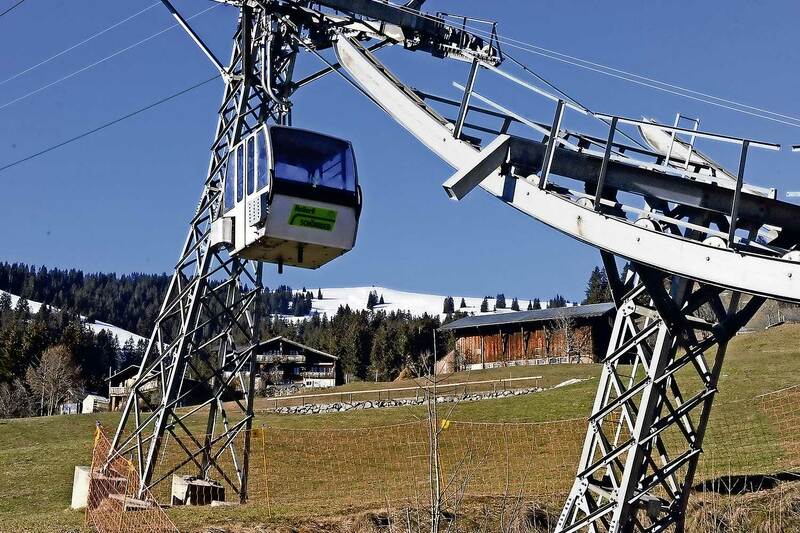 The municipality will go through the usual planning procedures to look at an application for a new cable car, just like any other approval procedure, says von Grünigen. The association hasn’t approached the community with any request for financial support.